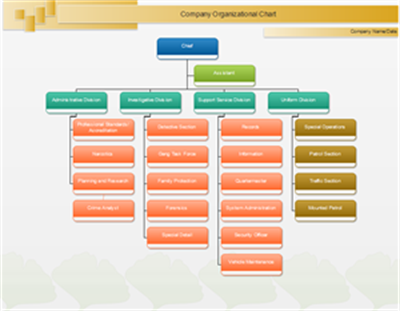 A chief organizational chart example is provided here to help users develop quality organizational charts. 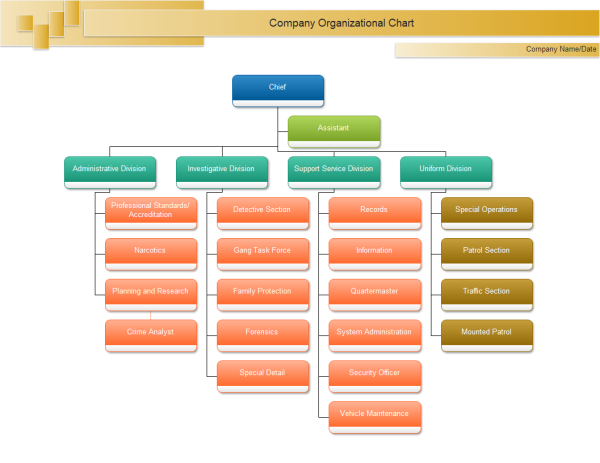 With this customizable template, users can represent any existing organizational charts easily. 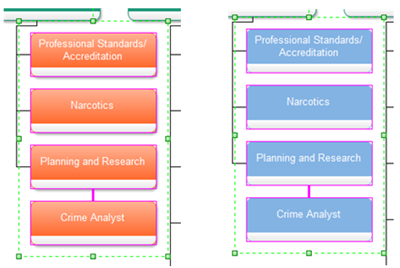 A ready to use template is provided to ease users' drawing processes in creating great organizational charts. 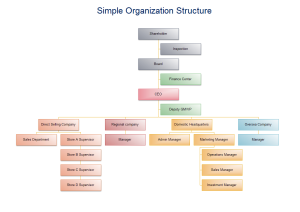 Download and modify this chief org chart for your own use. You can modify this diagram incredibly easily. For example, if you want to add a background, you only need to drag it from the left pane. To change shapes' color, you can select multiple shapes at the same time, and then use quick style to gain preferable look instantly. One more organization structure template is presented to show more aspects of flowcharts to help you innovate and strengthen your own designs. Discover why Edraw is an excellent program to create chief org chart. Try Edraw FREE.